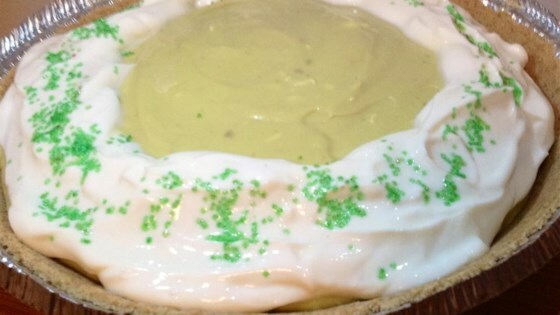 "This is a very rich, creamy pie my mom used to make over 40 years ago for her St. Patrick's Day parties. I make a low-fat version of this for my family by replacing the ingredients with non-fat or low-fat creams." Blend avocados, sweetened condensed milk, cream cheese, lemon juice, and 1 teaspoon vanilla extract in a blender until smooth; pour into the graham cracker crust. Mix sour cream, sugar, and vanilla extract together in a bowl; pour over avocado filling. Refrigerate pie until set, about 4 hours.